Tucked away in Summer Mountain Ranch,you’ll find this sprawling 6 ac hill country estate w/sunset views 365 days. Various interior niches, picture-frame wainscoting chair railing, natural light,detailed ceilings in multiple rooms. Buyers will love the added workshop off the garage. Circular patio overlooking the backyard views of heritage oaks and native plants. Galvalum roof, new AC installed in 2014, and gated remote access are notable exterior features as well. Additional storage sheds to convey. Please, send me more information on this property: MLS# 9412681 – $599,999 – 127 Purgatory Pass, San Marcos, TX 78666. 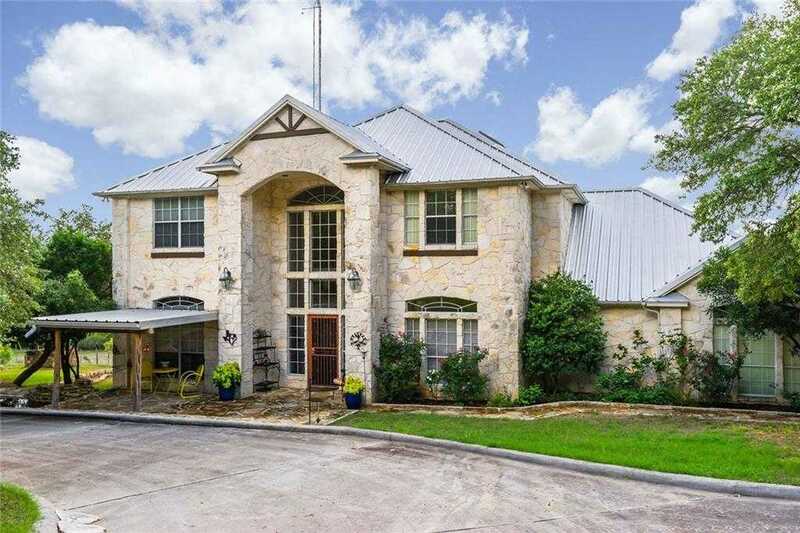 I would like to schedule a private showing for this property: MLS# 9412681 – $599,999 – 127 Purgatory Pass, San Marcos, TX 78666.